The Eye of Bespoke, the source of guidance and inspiration for Bespoke Tailors with illuminated minds since the early 1900’s, was initially referred to by Federick Scholte of the legendary bespoke tailoring house Anderson & Sheppard in Savile Row, London. It came to Federick Scholte when he was trying a different kind of cut for the bespoke suit of King Edward the VIII who ruled from 1919-1959. King Edward was of fairly rotund physique and wanted a bespoke suit with a cut that made him appear slimmer without compromising on comfort. Federick Scholte, being a highly respected master in the craft of tailoring, took up the challenge despite being confused on how to achieve it. However, he had the belief that anything and everything is possible as his mind had broken the self-created barriers and boundaries of the dimensions of reality. Over the years, mastering the craft of tailoring and bringing bespoke suits from his imagination into existence had made a deep shift in his inner dimensions, allowing him to balance his inner self with the outer world in perfect harmony. Once the balance was struck, he laid down the fabric before himself and with closed eyes, shifted his focus to the eye center which he referred to as the Eye of Bespoke. This meditative state along with his inner and outer balance would then be perfectly aligned with the Eye of Bespoke which could enable him to tap into the universal bank of knowledge and allow its energy to freely flow through him and around him, making anything and everything in his mind with regards to the suit he was tailoring, manifest into the physical dimension of his reality. This is how he brought into existence the Drape Cut method of suit making. The Drape cut method of suit tailoring involved cutting against the grain of the fabric allowing the diagonal stretch ability of wool to drape over the curves of your body. This along with the combination of a fuller chest and the torso nipped in at a singular point in addition to a slightly flared hip gives a slimmer looking silhouette from the sides. A significantly larger sleeve-head is eased into a smaller arm-hole through a micro-pleating effect done by hand to give immense ease of arm movement. 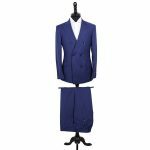 This makes the Drape Cut method of suit tailoring absolutely perfect for someone looking to achieve the right balance between aesthetics and comfort. The problem is that the shoulder and chest proportions are a very peculiar calculation that changes with every body type. This means that there isn’t and cannot be a perfect formula to achieve the Drape Cut which made it very difficult for Federick Scholte at the time to teach it to any of his students. Moreover, he was known to tailor suits using this revolutionary cut by mapping the initial suit pattern directly on the fabric. He never needed to make a paper pattern first, which is something that bespoke tailors even with the highest level of skill and confidence could not achieve, as the entire fabric would go waste if there was even the smallest mistake in calculating the proportions. 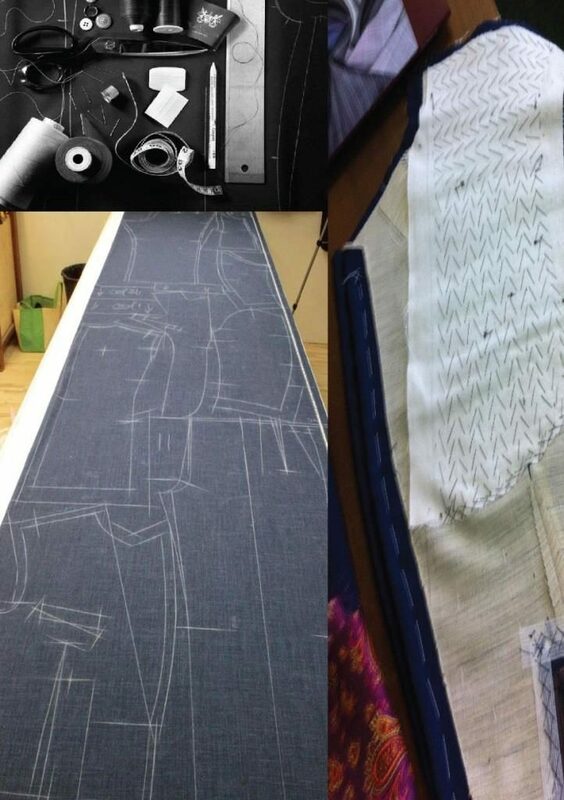 The only way one could master the drape cut method of suit tailoring was by seeking guidance from the Eye of Bespoke which would guide the bespoke tailor with the exact proportions pertaining to the specific suit pattern that was being cut for the client. It is therefore natural for any bespoke tailor who uses the Drape Cut method of suit tailoring to seek guidance from the All Seeing Eye of Bespoke and cut the suit pattern directly on the fabric in the same way as Federick Scholte. It was also noted that a bespoke suit which was in tune with the Eye of Bespoke had the ability to redesign the wearers inner architecture in a manner that made it possible for him to re-shape his life in any which way he wanted, helping them to come closer to reaching their full potential in life. This was further believed due the long list of clients of Federick Scholte and Henry Poole which include almost everyone who has left their footprint behind such as Mayor De Rothschild, Napoleon Bonaparte and King Edward among many others. For a bespoke tailor to be able to tailor suits which are in tune with the Eye of Bespoke, they would first need to master all the four dimensions of their mind. The first dimension is intellect – the logical dimension of thought. Once you have successfully directed your intellect to dedicatedly master the craft of tailoring you move on to the next dimension which is memory. Whatever you start learning has to be stored in your memory which includes but is not limited to the brain. Memory runs throughout your entire body. Your body remembers exactly how your forefathers looked and some part of it can be found on you even today which means every cell in your body has a phenomenal memory capacity that runs right up to the beginning of existence. 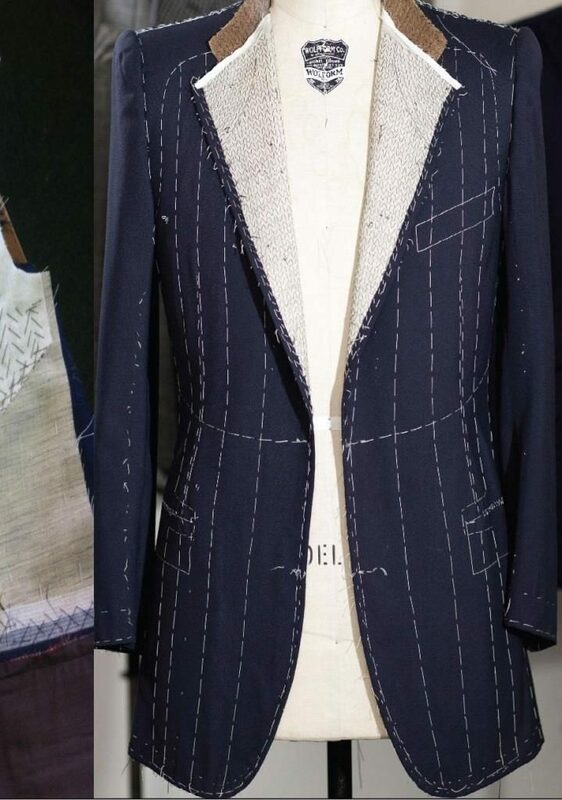 Once the craft of tailoring becomes part of this memory, the ability to tailor suits becomes part of one’s second nature which would not be too different from minor tasks such as eating food or drinking water. Once the craft of bespoke suit tailoring becomes part of that memory, you move on to the next dimension which is intelligence. Intelligence is very different from intellect which is only pertaining to the brain. Intelligence runs through the entire cosmos including you. Every cell in your body has the intelligence of how to make a piece of bread that you just ate, become a part of your body within minutes. The entire cosmos has an inherent intelligence which allows it to run its daily functions of life. The craft of suit tailoring needs to enter the inherent intelligence of the bespoke tailor which will propel him to the last dimension which is identity. Once the craft of suit tailoring has become a part of the basic intelligence, which is the same way the entire cosmos is run, his intelligence gets linked to the universal intelligence of the cosmos allowing one to tap into the collective intelligence of your archetype of suit tailoring accumulated over centuries of collective experience of bespoke tailors. Identifying and recognizing this supreme intelligence and universal bank of knowledge is what Federick Scholte called The Eye of Bespoke. One then simply becomes a channel through which energies of The Eye of Bespoke or any other archetype one identifies with can freely flow throughout the four dimensions of the mind. Things that are otherwise beyond comprehension of the physical brain or mental self can then be brought into existence. A Bespoke suit that is tailored to be completely aligned and in tune with the Eye of Bespoke will then work on the same four dimensions of the mind, as your perception of yourself has now changed with what you could only imagine you look like with what you now really look like once you wear the bespoke suit. You can see, touch, feel and identify with what was previously only a figment of your imagination. Something your physical mind could not have deemed possible. This will allow your mind to break through the shackles of your self-created boundaries and open your Eye of Bespoke. Once you have opened your Eye of Bespoke, you shall see and experience the same shift in your inner dimensions as your bespoke tailor who felt it while tailoring the suit. Its precision and perfection will work on all four dimensions of your mind making you achieve precision and perfection in all your actions in life. You will become one with the universal intelligence or the Eye of Bespoke allowing its energy to flow freely through the four dimensions of your illuminated mind, guiding you with the knowledge of how to manifest your thoughts into the physical dimension of your reality. Thus, an open Eye of Bespoke is the first step towards the inner engineering which will enable you to re-shape your life in any which way you desire.